A triangular area bordered by Mission, Van Ness/S. Van Ness, Polk, Geary to powell, Market to 3rd street, the Tenderloin Police District is the smallest of ten district station areas. The Tenderloin Task Force was created on April 1st 1991 (with the first bicycle patrol in the city) to combat the high level of crime in that area and made its headquarters in the basement of the historic Hibernia Bank building. A new headquarters, now formally known as Tenderloin Station, opened in October 2000 at 301 Eddy Street. The officers of Tenderloin Station patrol an area with the highest concentration of parolees in the city, but the area has also become a place of residence for many law-abiding immigrant families, especially from southeast Asia. The officers' role, then, has been to make this area safe with its expanding businesses and eateries which cater to those families. Captain Carl Fabbri was born in Massachusetts and earned a Bachelor of Science degree in criminal justice from Northeastern University. He joined San Francisco Police Department in 1995. As an officer, he worked primarily plainclothes assignments at Park and Northern stations and with the Narcotics Division. After being promoted to Sergeant, he worked at Bayview Station, in the Special Investigations Division, and at Northern Station. 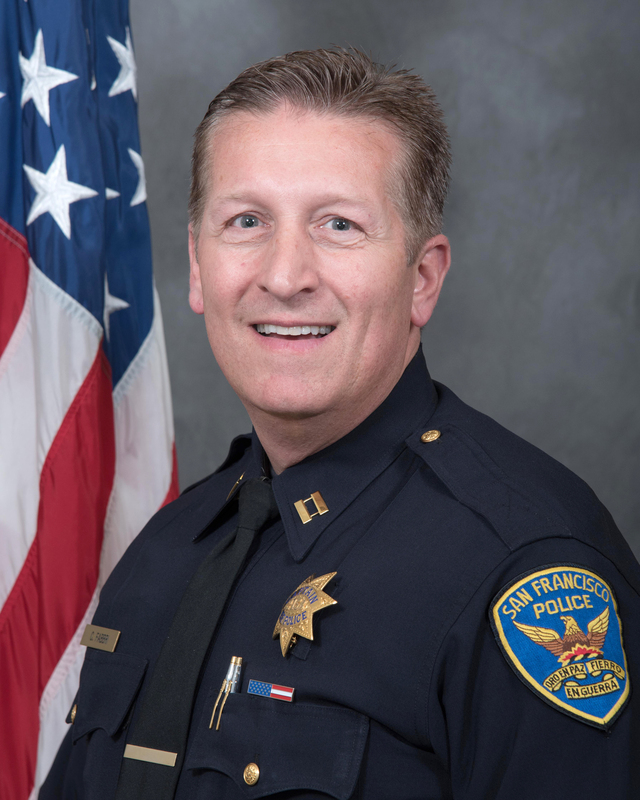 As a Lieutenant, Fabbri served as Officer in Charge of Violence Reduction Teams, at Tenderloin Station, in the Crime Analysis Unit and in the Chief of Staff’s Office, as well as the Liaison to San Francisco Unified School District. He was promoted to Captain of Tenderloin Station in October, 2017. Community Updates are an information newsletter to inform the Tenderloin residents of incidents occurring in the district.